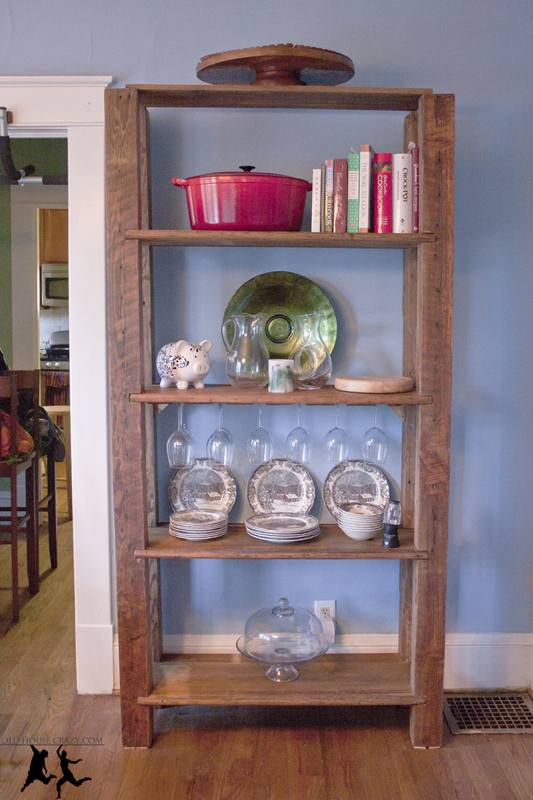 The heartpine shelf I built for our dining room ended up being seven feet tall. This didn’t sound all that tall until I realized that it also weighed 200+ pounds. That much height and weight would do some damage if it came crashing down on our floors, so I set out to make this sucker as stable as possible. 200+ Pounds of hard wood, books, dishes, and cast iron would do some damage if it came crashing down. This was a two part process: First, I added triangles of heart pine to several of the corners to ensure that it didn’t rock from side to side when nudged or leaned against. 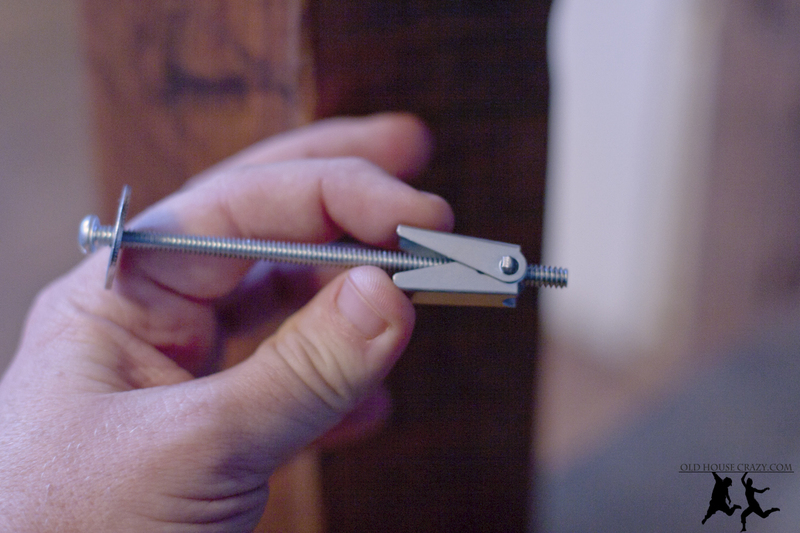 Second, I attached the shelf to the wall using a toggle bolt and a long screw. 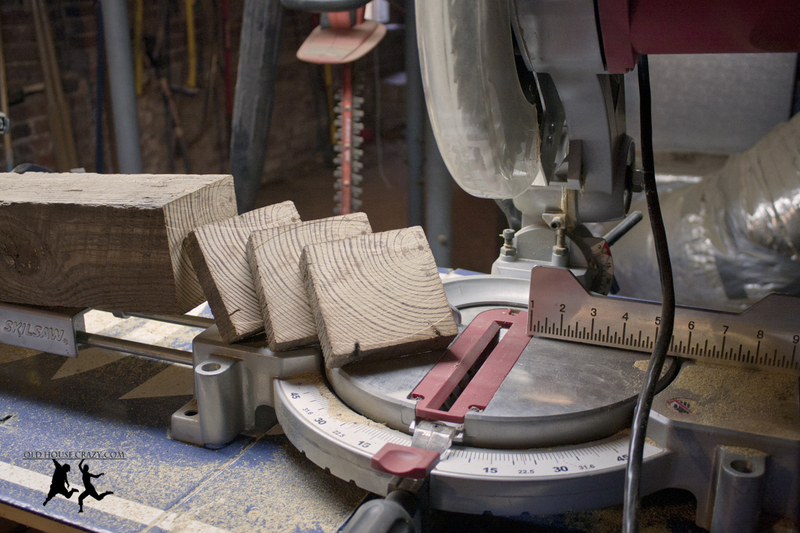 Using my chop saw, I cut one of the leftover heart pine posts into slivers an inch wide. 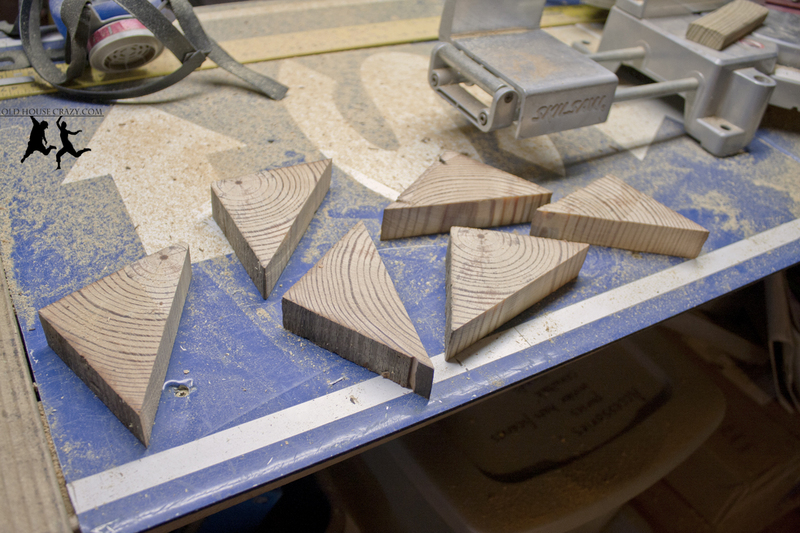 Next, I cut those slivers in half to make heart pine triangles. This could have been done by hand if needed. 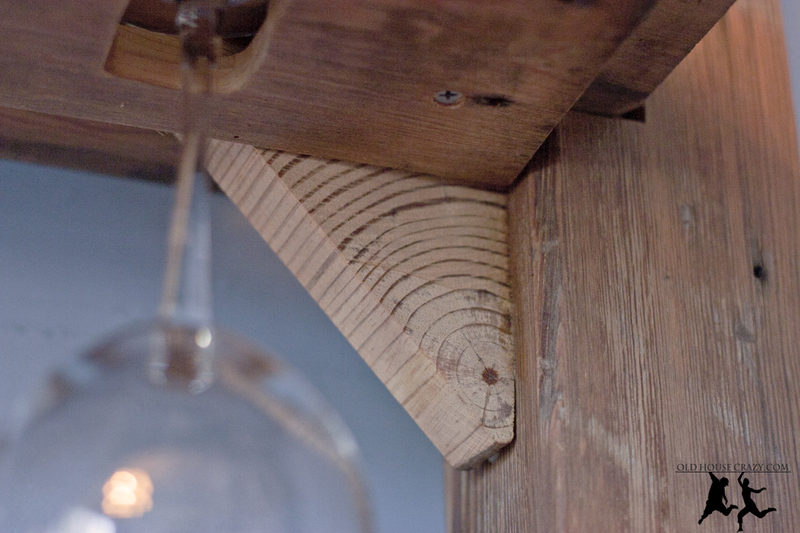 You can also use any wood you’ve got, or purchase metal brackets that serve exactly the same purpose. Once the triangles were cut, I fit them into the corners below the two lowest shelves. Using wood glue and clamps, I attached the triangles and let them set for an hour or two. As you see in the photo below, I used a second triangle to properly direct the clamping pressure to the two surfaces being glued. After the glue dried, I removed the clamps and the shelf had a heck of a lot more stability. It doesn’t sway from side to side at all now. Now that the shelf was stable from side to side, I needed to make sure it stayed up against the wall and didn’t come crashing forward. 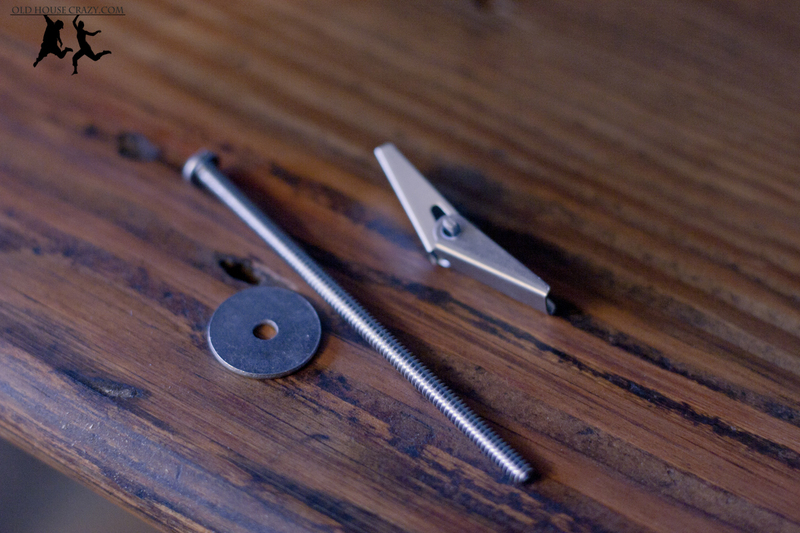 The photos below shows a toggle bolt and how it works. The first shows the three parts you’ll need to buy. First, the toggle bolt itself. Then a long screw and a washer, sized to fit your needs. Go to your local hardware store and ask for the parts. If you go to one of the big box chains, they’ll sell you special mounting kits that are basically these exact parts, but for much more money. Note – These only work for hollow walls like ours, which are made of plaster. They also work on hollow walls made of sheet rock. 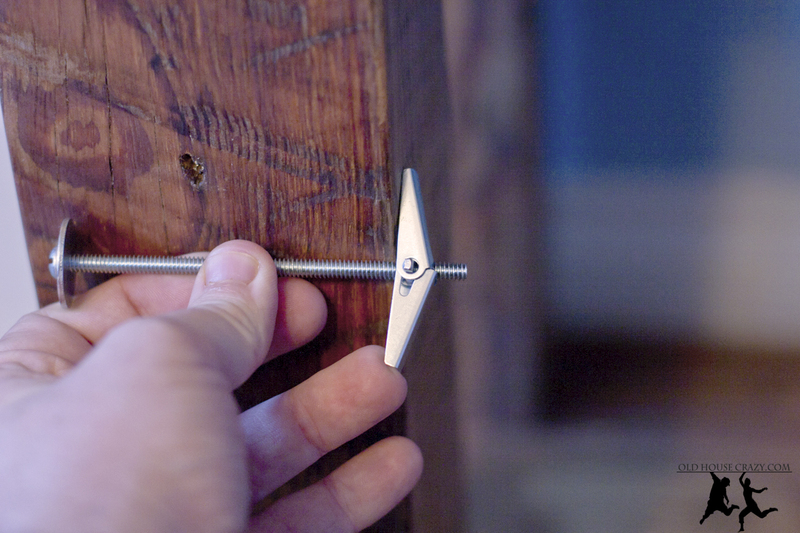 You’ve got to drill a hole in your wall big enough for the bolt to fit through like below. 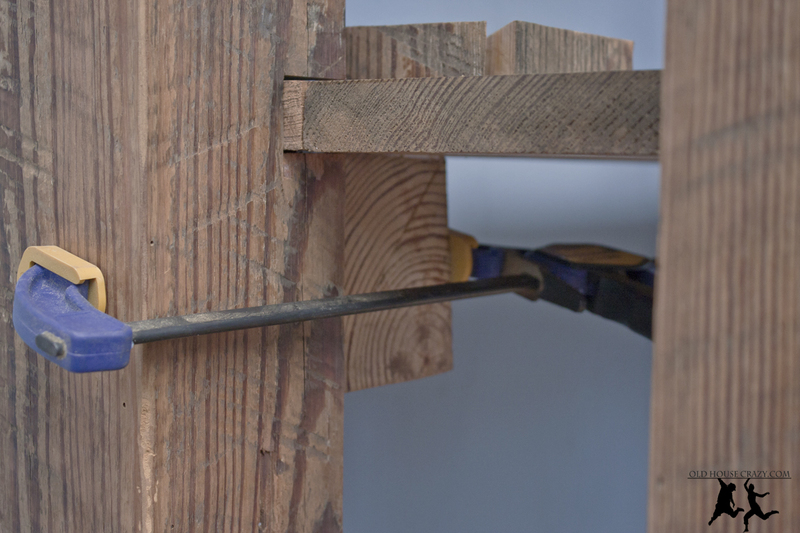 Once the bolt is through the hole, it expands like this and can be tightened as much as needed. It’ll hold onto that wall and keep your large shelves or heavy photos/mirrors/etc from crashing down. This entry was posted in Dining Room, DIY, Furniture, Heart Pine, Home Built, Tools and Techniques, Woodworking and tagged heart pine, toggle bolt. Bookmark the permalink.